Dip your toothbrush with toothpaste into baking soda for an extra boost. Baking soda is commonly used in many kinds of toothpaste. Or you can simply dip your toothbrush into baking soda and brush your teeth. To whiten your teeth, make a paste of baking soda and water, rub your teeth with the mixture and leave it for 5 minutes then rinse your mouth. Baking soda helps to neutralize odors, not just covering it up. Put one teaspoon in half a glass of water and use it to keep fresh breath. Baking soda helps to neutralize the body odor, whether you put it on before or after sweating, the result is impressively effective. You can put baking soda onto your underarms or you can also fill an empty liquid deodorant bottle with water and add one teaspoon of baking soda. Add 2 teaspoon of baking soda in a glass of warm water and soak oral appliances, like retainers, dentures, and mouthpieces. It will loosen food particles and neutralize odors to keep them clean and fresh. Make a paste of 3 parts baking soda to one part water. Rub in a gentle circular motion to exfoliate the skin then rinse clean. 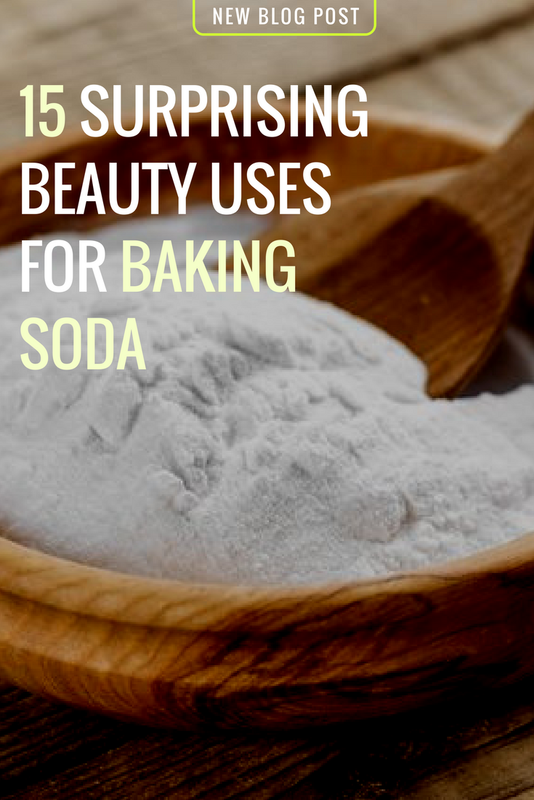 If your skin is dry, sensitive, or having acne problems, you may need to skip using baking soda on your skin. Add some baking soda to your shampoo to give your hair more volume. It also works as an effective cleanser to remove dirt and oil leaving your hair lighter and more manageable. You can also use baking soda and water alone as a shampoo, it works better than many expensive shampoos (for foam, you can add some shampoo to the mixture). Sprinkle a little baking soda on the root and tousle your hair. It works the same as any other dry shampoo. Soak your hair brush in a bowl filled with warm water and 3 teaspoons of baking soda, rinse and allow to dry. It will help clean accumulated oil and other hair products. Leaving nail polish for too long might leave stains behind. Clean your nail with a cotton dipped in the mixture of half glass of water and teaspoon of baking soda. Soak your feet for 20 minutes in a bowl of warm water and 3 tablespoons of baking soda, you can add your favorite essential oil. Baking soda will help remove odors and bacteria from your feet. Then scrub your feet with baking soda paste to help exfoliate rough spots. Skip soap and gently scrub your hands with a paste of 3 part of baking soda to one part of water. It will help neutralize odor from your hands and make them softer. Add a half cup of baking soda to your bathwater to wash away oil and perspiration. It will also make your skin feel very soft. For insect bites, apply a paste of baking soda on the affected area. To ease the itch, from sunburn or allergic rashes, rub the damp skin with baking soda after bath or shower. Add 2 teaspoon of baking soda in your baby’s bathwater to help relieve diaper rash.